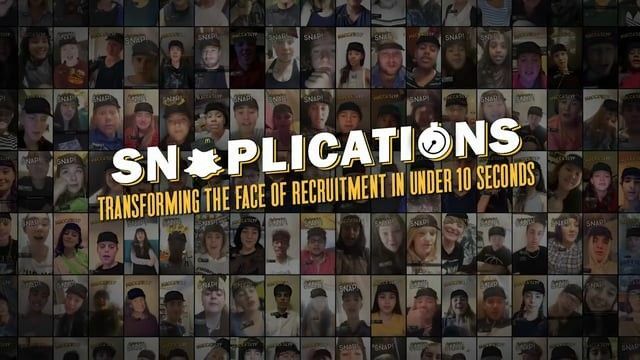 Awesome idea from McDonald's in Australia - allowing people to apply for a job by using a Snapchat lens which fits a McDonald's cap to their head - so they can even visualise themselves working there. What a great way to engage with a huge range of potential employees en mass on a platform they interact with on a daily basis - allowing them to apply in a new, fun, innovative and creative way! Prior to its merger with Y&R at the end of 2018, VML Australia took on a world-first with McDonald’s in launching Snaplications, a one-of-a-kind Snapchat lens that enables Snapchatters to apply for a job 'in a snap'.